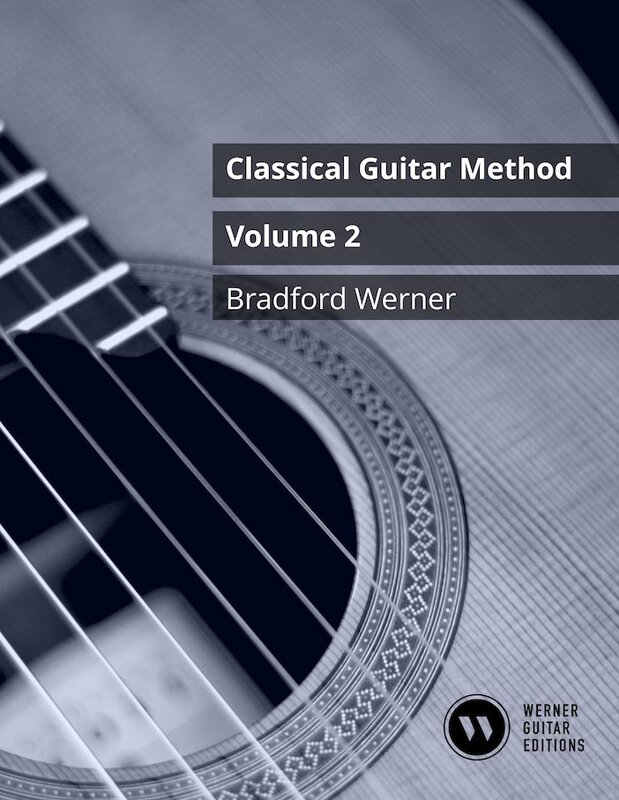 This book teaches classical and fingerstyle guitar skills with a focus on reading tonal music. It includes solos, duos, chords, and exercises, giving students a well-rounded and enjoyable musical experience. Designed as a manageable amount of material, it supplements weekly lessons and prepares students for early intermediate repertoire. The four sections of study allow students to focus on specific strengths and weaknesses in the learning process. YouTube video lessons provide students extra help with musicality and guitar technique. Also see my free 102 page Volume One Method Book. 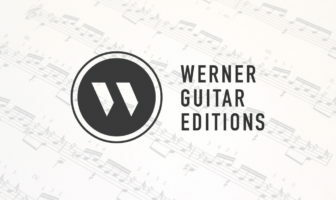 Buy Volume 2 from Werner Guitar Editions – my dedicated store for guitar editions. Amazon.com, Amazon.ca, Amazon.co.uk, and more. Using an older edition? See the 2017 edition videos here. The below videos are for the new 2019 edition. All videos to be completed by mid-February. Links go to Youtube. Ten Classical Etudes – Progressive etudes for intermediate level. Classical Guitar Technique: Essential Exercises, Scales, & Arpeggios – Hundreds of exercises and tons of video lessons. Notation. 20 Favorite Exercises, Technique book includes notation and TAB, Video lessons.